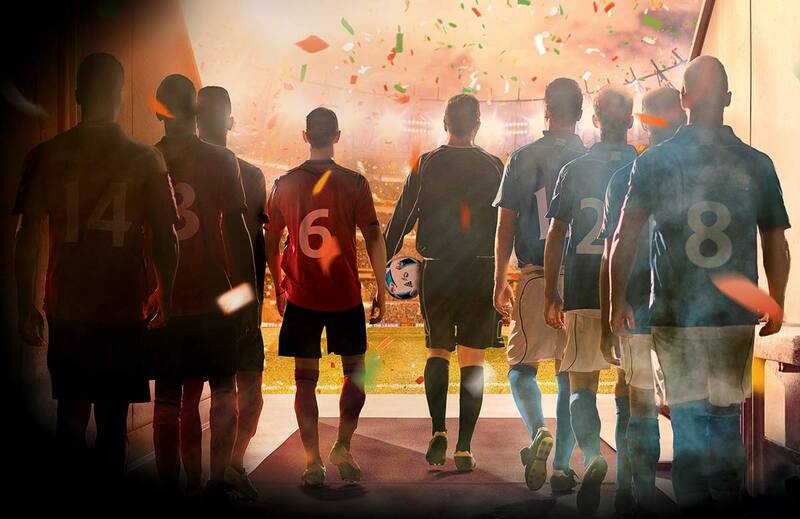 With summer rapidly approaching, the countdown to UEFA EURO 2016™ is well and truly underway. 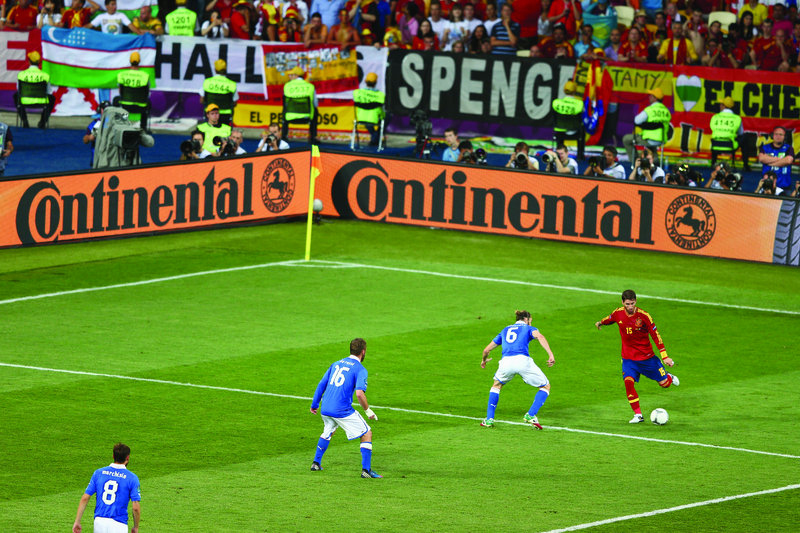 As an Official Sponsor of UEFA EURO 2016™, Continental will be at the heart of European football’s biggest event. Our original equipment will exclusively feature on all official UEFA transportation throughout the tournament, ensuring that everything and everyone gets everywhere safely. 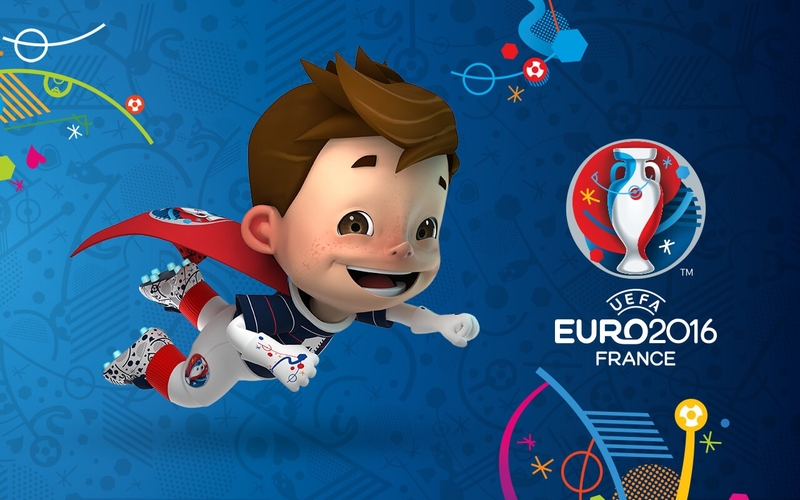 UEFA EURO 2016™ is the third European Championship finals that Continental have sponsored, and is the culmination of a ten year relationship with the event that has strived to achieve world-class quality, maximum performance, uncompromising safety and fair play - values and goals that we share with football. These beliefs are at our core - it‘s all about safe transportation. With England, Wales, Northern Ireland and the Republic of Ireland all competing at this year’s finals, our original equipment will be fitted to their team buses to help ensure that the players, managers, staff and officials from each country travel safely and securely from venue to venue, no matter what the road and weather conditions. If you’re a fan driving to UEFA EURO 2016™ with Continental original equipment, you’ll be in equally good hands. There’s no doubt that one of the most anticipated matches at UEFA EURO 2016™ will be between England and Wales at Stade Bollaert-Delelis in Lens on Thursday 16 June. With 35,000 fans set to fill the stadium, and a national television audience of millions guaranteed, interest in this match will be at fever pitch. Will Roy’s Boys turn up and perform, or will Welsh Galactico Gareth Bale turn on his magic? Are Wales more than a one man team? Can England actually play as a team? 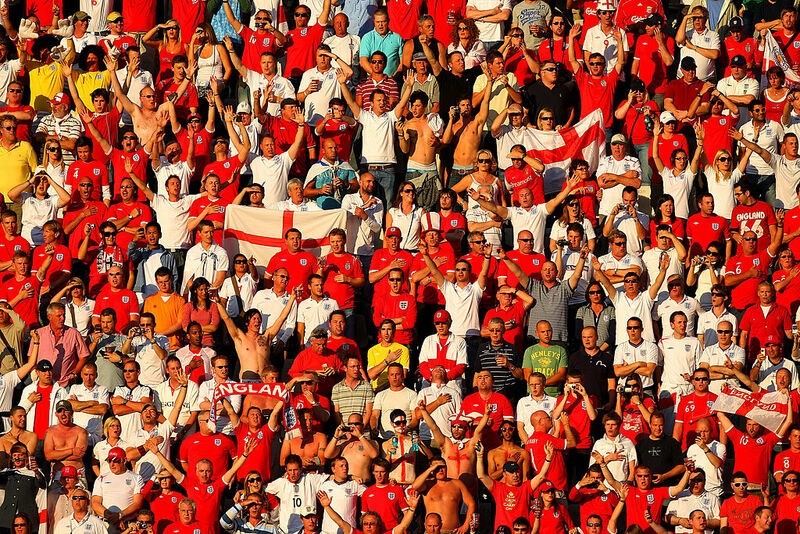 England vs Wales – St George vs The Dragon – promises to be intriguing. 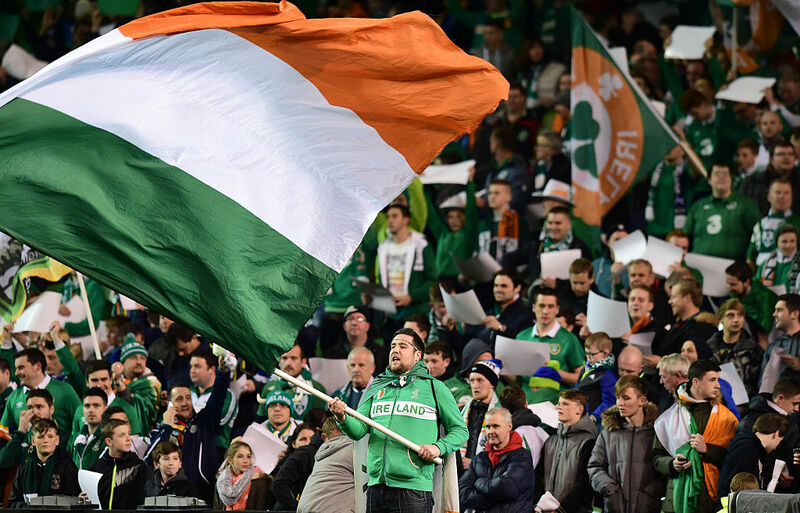 With all Irish football fans represented at UEFA EURO 2016™, this year’s tournament will be a unique experience for anyone rooting for either shade of green. Belfast and Dublin will provide vibrant, festival atmospheres on match days, with both sets of supporters united in their love and passion for the beautiful game. With both teams cast as fiesty underdogs in their respective groups, don’t be surprised if either team causes an upset or two. As an official sponsor of UEFA EURO 2016™ Continental will be engaging with football fans everywhere through our free to download Fan Guide. Available for both iOS and Android mobile devices, simply search “UEFA EURO 2016™ Fan Guide” for your copy. Packed with useful insights and information essential to football fans everywhere, our UEFA EURO 2016™ Fan Guide will provide both supporters attending the tournament and those watching on television with everything they need enhance to their viewing experience. Whether you're going to UEFA EURO 2016™ or watching from home, learn more about the unique characteristics of the tournament host cities with our essential Road to France venue guides. Continental also recognise the effort many fans make to follow their team, both at home and abroad, and in particular the designated drivers whose commitment allows their friends to safely get to the game. Now’s your chance to honour these unsung heroes. Simply visit www.thedesignateddrivers.com and nominate a friend, colleague or family member who’s effort ensure you get to the game safely. 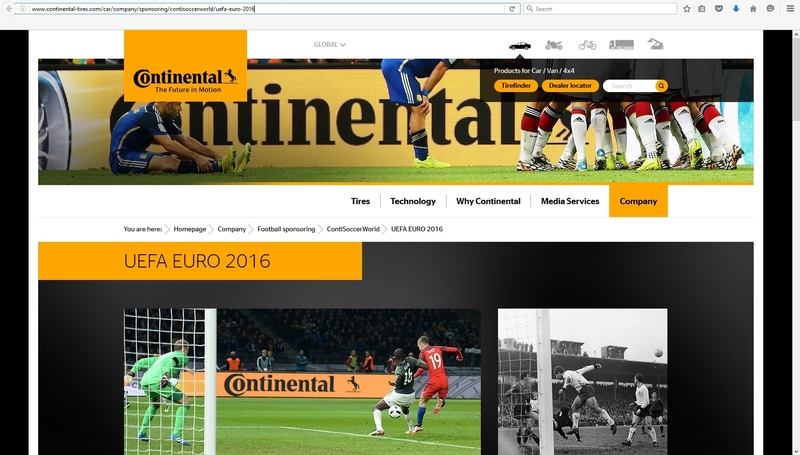 Continental have been sponsoring football worldwide since the 1950s, and in the subsequent years we have contributed to the football family at player, national association, tournament and grass root levels for both men and women. Among the many national and international tournaments and competitions we have sponsored are three successive UEFA EURO™ Championships (2008, 2012 and 2016). We’ve also enjoyed a long and rewarding relationship with UEFA since 1995.